“In wine there is truth,” Pliny the Elder… and with a name like that, you have to believe him. I spent the weekend doing chores around the house. Of my many tasks, Sunday I bottled the Pear Mead I made on 9/24/2017. Mistake 1: While I was preparing to bottle, I kept thinking there are 3.7 litters in a gallon – which is true. So I set out three bottles and a couple of 8oz. mason jars for the .7 litters – most of you may already see the error here. So I sanitized all my equipment, set my corks to soaking, and then began siphoning (quite successfully I might add) the mead into the bottles. When the three bottles were filled, I still had a 1/2 of gallon of mead left. Dote! I of coursed panicked and, in doing so, stirred the sediment at that bottom – not totally but enough to cloud the remaining mead. In the end I ended up with three crystal clear bottles of mead and two slightly cloudy 8.oz mason jars. I placed the mason jars in the fridge to chill for tasting later that night. The rest went down the drain. Mistake 2: I needed to cork the three bottles. I have an Italian Double Lever Corker (that did not come with instructions.) 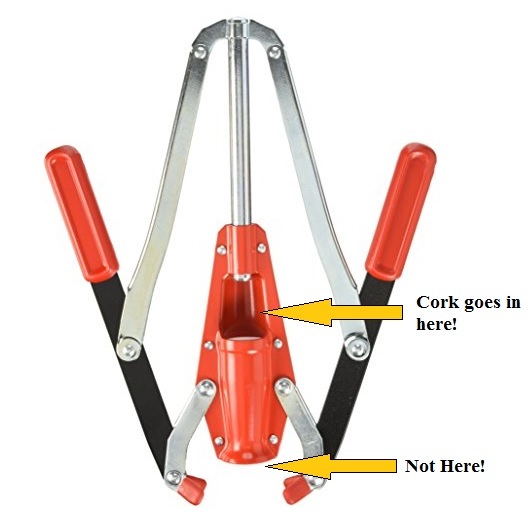 The last time I used it, I only corked two bottles and the corker was next to useless. Now I might have mentioned this before but I am a rather large fellow. So to cork the bottles, I placed the base of the bottle on an oven mitt for traction, then I used my bare (bear) hand to force the cork into the neck of the bottle. 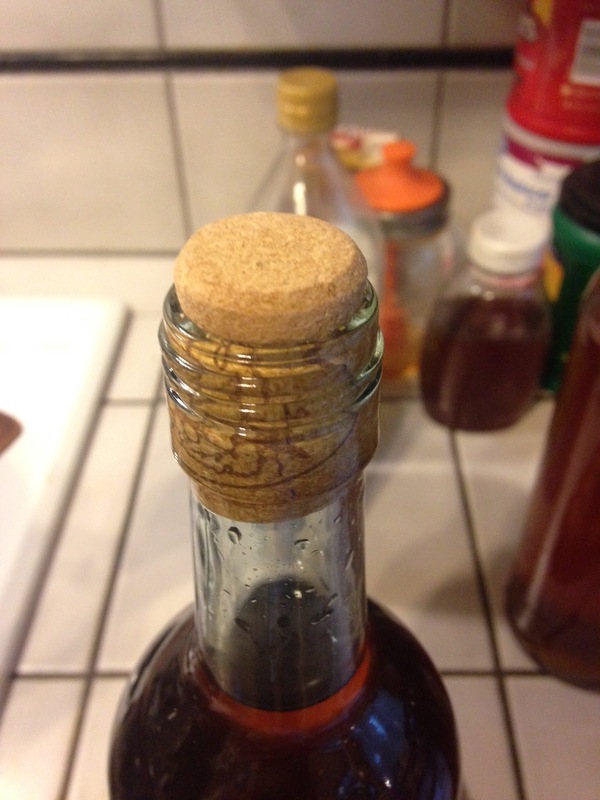 Then I placed the Corker on the remaining 1/4″ (and after about 20 attempts) I made the cork flush with the top of the bottle. WHAT A USELESS CONTRAPTION! Or so I thought. This time, I had the same trouble but after I had already forced the corks into the neck of the bottle by hand, I couldn’t get the corker to drive them home. So I did what I should have done in the first place – I YouTube’d it. 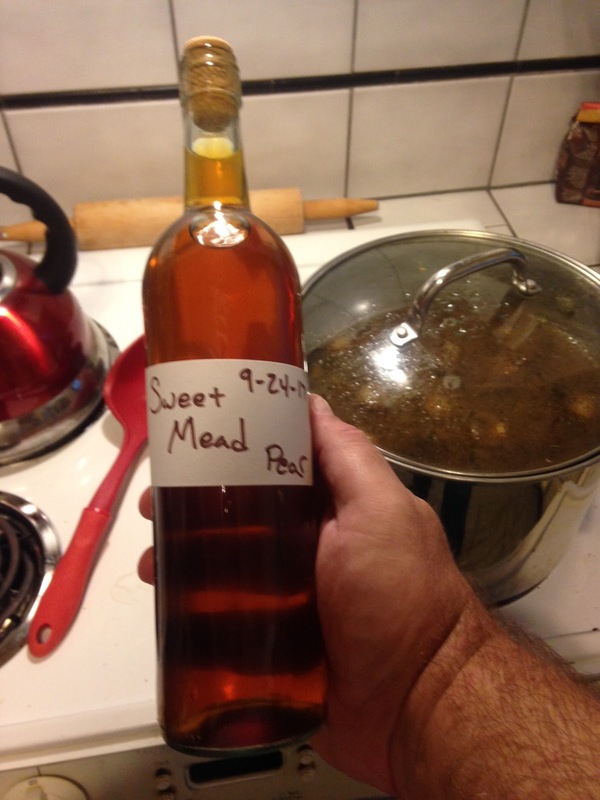 The Pear Mead tasted very dry at first with a faint sent of pear and a strong sent of yeast. However, after allowing it to air for 40 minutes, it tasted a little less dry but had an acidic finish. I am hoping that time will reduce the acidity.